We offer both - either a bed in dormitories (women and men separate) or separate double rooms, fully furnished. All rooms are connected to air-conditioning system, wi-fi is provided free of charge. In dormitories we don’t have double-deck beds, all beds are single, totally comfortable, fresh sheets and a towel is included in the price. Maximum people we will place in the dormitory is five. Toilets and showers are situated near the dormitories, cleaned and sanitized everyday by our cleaning service. Our reception works 24 hours, fully at your service to advise you on tourist-attractions, sight-seeing and excursion programs. What we offer is not only lodging - we try to attract people with a certain lifestyle. In our big hall we do yoga classes, meditation classes, hip hop dancing classes, popping dance classes, we have music master classes - vocals, guitar, beat-box held by local musicians. We can advise you on private lessons concerning on all mentioned above. * ATM machine 100 metres outside the Hostel in case you will need to take cash from your debit or credit card in rubles. We are a non-smoking Hostel, although we have a smoking area outside our premicies. Children under 16 years of age are not accepted. Alcohol, drugs are strictly prohibited! 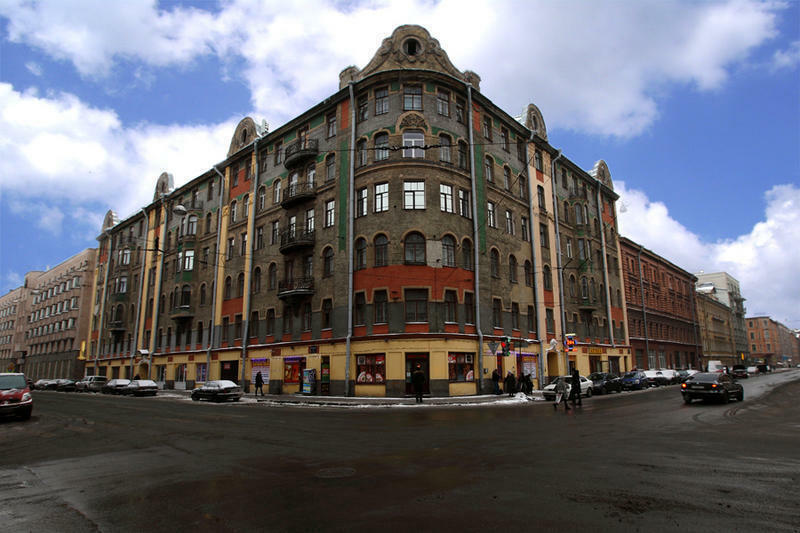 Geographically the Hostel is situated in 10 minutes walking distance from Nevsky prospekt and Moskovskiy vokzal (main railroad station). All the main sight-seeing places and tourist attractions can be reached by walking (10-15 minutes) or by the trolleybus #10, stopping right near our Hostel. Two subway stations are near - Ploshad' Vosstaniya and Ploshad' Alexandra Nevskogo.